Happy Feast of the Circumcision! Here's another great volume published by Editiones Scholasticae. Looks like it hasn't come out yet (forthcoming May 2014), but from the description it sounds like the volume will be coming heavily from the 'analytical thomist' school. 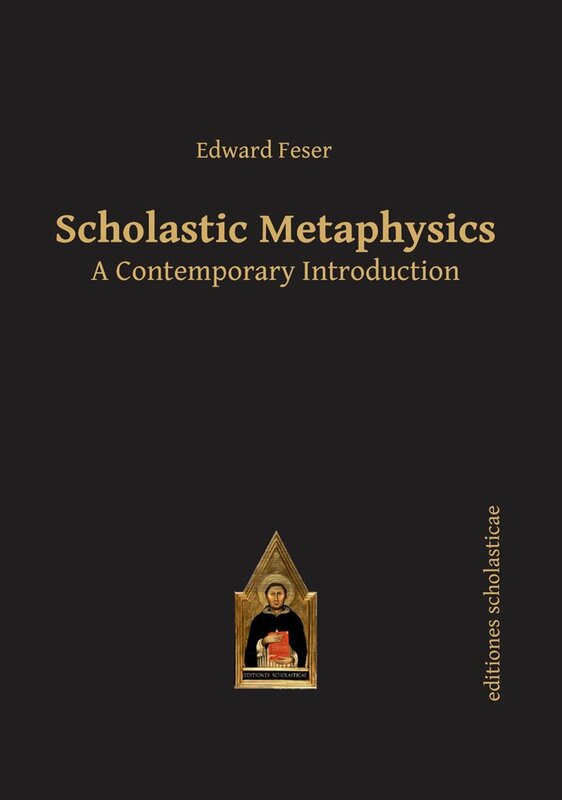 Naturally, it would mean the author is not using the scholastic method/style that is native to Thomism, but Fesser is a traditional Catholic and a well-formed Thomist, so I'm sure it is well worth reading. And being familiarized with that school is a must for any English-speaking Thomist today. Link to Fesser's book on amazon.com. See also my translation of Cosmologia by Edouard Hugon, OP (1867-1929), also published by Editiones Scholasticae, on amazon.com. Is it Possible for God to Create a Creature More Perfect than Our Lady? I've been studying this question recently, occasioned at first by a conversation with my wife, right before it providentially popped up in my daily philosophical readings--in Hugon's Cursus Philosophiae Thomisticae, Vol. 3 on Metaphysics. The Thomistic response may sound impious to some, but it is affirmative. The alternatives are either that Our Lady is infinitely perfect, or that God is not omnipotent, neither of which will stand. 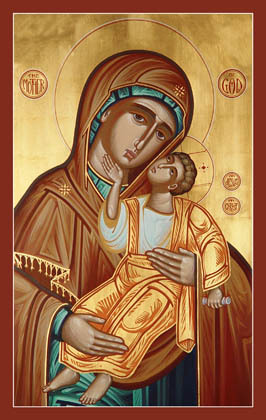 She is perfect as a creature, and the greatest creature God actually created, "higher than the cherubim, and more glorious beyond compare than the seraphim" (as the Byzantine hymn Axion Estin proclaims), yet not the greatest creature possible for God. There is no such thing as the greatest creature possible for God--it is a contradiction in terms. III. 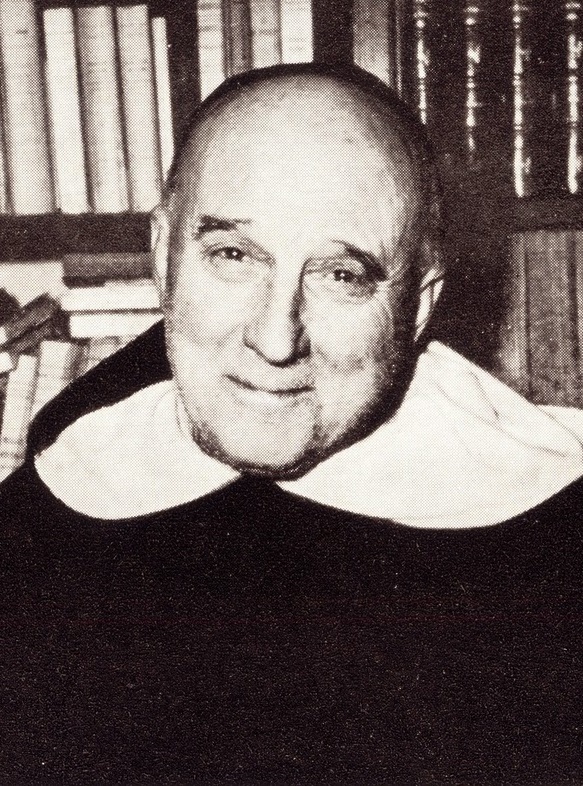 – Second Conclusion: “It is impossible for a creature to be most perfect of all [possible creatures].” This is the view of St. Thomas, Suárez, and the Scholastics in general. A creature, no matter how perfect, is infinitely distant from the participability of the divine perfection, which can never be exhausted. But between infinitely distant things there can be an infinite number of intermediaries. Therefore, between God and the most perfect creature there can be an infinite number of intermediary creatures that participate more and more in the divine perfection; and there will never be a creature that fully exhausts the divine participability. – You will say: God knows the most perfect of all [possible] creatures. But God can produce what he knows. Therefore. – I respond: I distinguish the major: That God knows that creature as something outside of the series of possible things, I concede; as something within the series of possible things, I deny. I contradistinguish the minor, and I deny the consequence. – Such a creature is impossible. Therefore, it is known by God as something outside the series of possible things. The Feast of the Circumcision is also, coincidentally, a nice, traddy feast that was expunged from the new calendar because it clashed with modern sensibilities. It behooves us traditional Catholics to show devotion and attachment to this feast. If we want it back, that is. This should be in our minds and our hearts as we celebrate the 'New Year'. PS. And don't forget you get a plenary indulgence by singing or reciting the Veni Creator, under the usual conditions.